When you place an order before 5 PM, your shipment will be sent out on the same day. It normally takes 2-3 working days for your shipment to arrive. The delivery company delivers shipments every afternoon and evening. You can check the exact time slot for your delivery via the track & trace link included in the order confirmation we send you via e-mail. Free shipping for all orders over € 100 & always free returns. When you sign up for our newsletter you receive a one-time and unique 10 Euro's* off discount code via email which you can redeem with your first purchase. This special offer is only valid for new customers and with your first purchase. The code is valid for one month and can be redeemed during the ordering process, by clicking on the drop-down field “discount code” on the shopping cart page. The discount of 10 Euro's will automatically be deducted at check-out. *Please keep in mind that the couponcode is not valid at discounted articles, on giftcards and on shoe care products. Remove the address label and simply stick the return label that was enclosed in your order on the original packaging (if the original box is no longer usable you can also use any other cardboard box). Yes, of course. 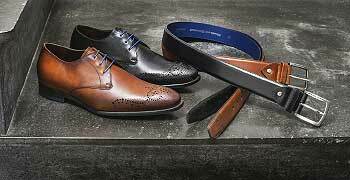 However, please note that there are stores that sell Floris van Bommel shoes but these are not necessarily owned and operated by us. Therefore, you can only return your item(s) in one of our nine official Floris van Bommel brand stores located in Düsseldorf, Hamburg, Cologne, Nuremberg, Bruges, Antwerp, Utrecht, Bataviastad Lelystad and Amsterdam. In Germany you can use the following payment methods: PayPal, credit cards (MasterCard and VISA), SOFORT banking, Giropay and Klarna (Pay Later Payment Service). We do not charge any fees when you pay with any of these payment methods. Find out more about our various payment methods here. Is there a pay later option, can I pay by invoice? Yes, you can also pay later using the free-of-charge payment service Klarna. Why won't my purchase with Klarna (Pay Later Payment Service) go through? This can happen for many reasons. For reasons of data protection, we have no insight into the matter and therefore recommend that you get in touch with Klarna directly. Did you buy your item(s) from the official web shop www.florisvanbommel.com? 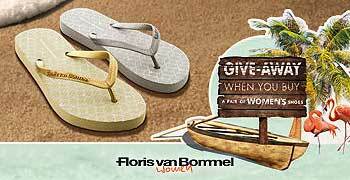 Please get in touch with us via webshop@florisvanbommel.com. Please make sure the attachment of the email including photo's can be max. 20 MB. Floris van Bommel does not have an in-house repair service. Floris van Bommel does not have an in-house repair service. 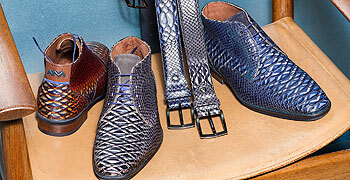 We will gladly refer you to a shoemaker for all your reparations. Should you have any questions, do not hesitate to contact us.